Has it really been eighty years already? To celebrate that landmark anniversary in publishing, Marvel’s releasing six new one-shots spotlighting the diverse fiction genres that helped build today’s House of Ideas. The books feature all-new stories set in the realms of horror, science fiction, and war—all out this month—and humor, Westerns, and romance—coming in February. Let’s check in with two of the effusive editors who assembled that mammoth undertaking, Nick Lowe and Mark Paniccia. Marvel.com: Mark and Nick, this is such a big year for Marvel—in your opinion, how do these one-shots best capture Marvel’s incredible history? Mark Paniccia: Since Marvel has literally published every genre under the sun, these one-shots give us a chance to remind fans of the incredible and vast range of fiction the company and its many contributors have created beyond the world of super humans. And they’re a celebration of an art form that Marvel was instrumental in bringing to the forefront of pop culture. Marvel.com: What went into the decision to provide new stories instead of just reprints from those genres? Nick Lowe: Reprints aren’t as cool, man! Every editor up here loves things other than Super Heroes, but we don’t get a ton of opportunity to play in other sorts of stories. So any chance we get, we leap at them. And our creators feel very much the same. Mark Paniccia: When planning Marvel’s 80th Anniversary the idea of being able to revisit these iconic books and bring a new spin to them was, like Nick says, pretty irresistible. Marvel.com: And along with all-new tales, how else in these books will someone get a historical perspective on each genre? Nick Lowe: Every book not only has a piece about Marvel’s history in the genre, but also some classic covers and commentary. They’re all such fun packages. Mark Paniccia: Brian Overton, our history guru, was instrumental in coordinating these super fun bonus pages filled with all kinds of cool facts about each genre. These books aren’t just awesome, they’re educational! Marvel.com: You have some top creators working on these. What can fans expect from the new tales in each of the issues? 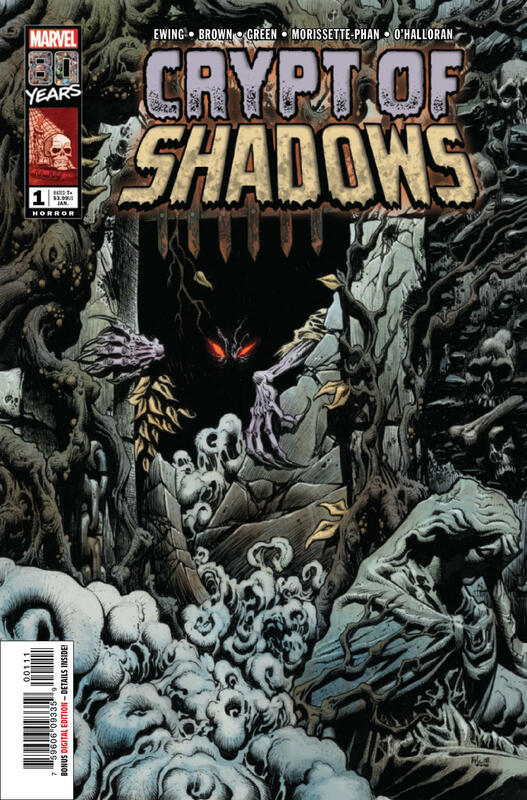 Nick Lowe: For CRYPT OF SHADOWS #1 let me say just two words: Al Ewing. 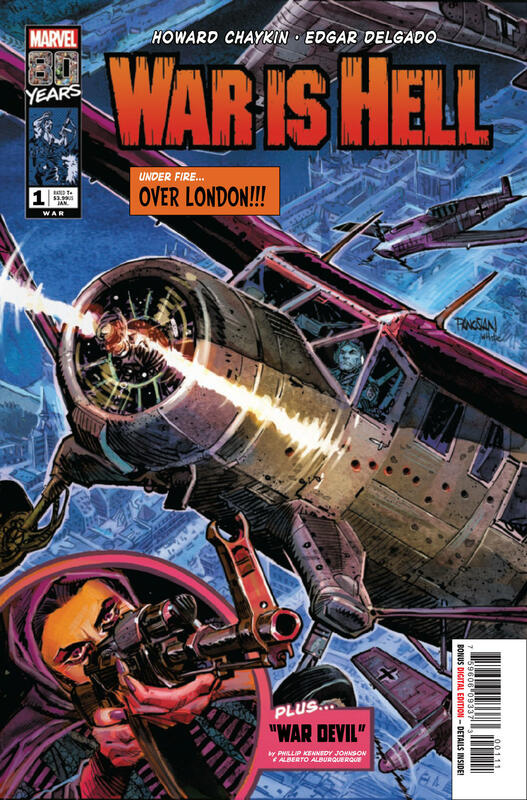 For WAR IS HELL #1, the heyday of war comics was during World War II or much later about World War II, so I wanted a WWII story and my brain immediately went to Howard Chaykin. Not only is he a huge WWII nerd, but I knew he could put together a story that would feel timeless and plumb a part of WWII that no one else could. For the book’s second story, I wanted a modern look at a modern war and went to Phillip Kennedy Johnson, whose work over at BOOM has wowed me. Phillip pitched the story “War Devil” and it scared and thrilled me. Alberto Alburquerque and Andres Mossa did the art and just thinking about it sends chills down my spine. Mark Paniccia: While I absolutely loved the cover copy on the old romance books, the images didn’t need any explanation to torture your inner broken heart. Despair, angst, elation, betrayal… it’s all there, urging you to pick up the book to find out the fate of these poor, mostly star-crossed characters. For LOVE ROMANCES #1, I had the cover done first. I asked cover artist Pyeong Park for four different subgenres (science fiction, goth, horror, and steampunk) so we had an aesthetic variety. Then I reached out to great writers like Gail Simone, Dennis “Hopeless” Hallum, Jon Adams, and French comics creator Marguax Motin to take the image and tell the backstory. It was an experiment that garnered some pretty unique “romance” stories with art by Jon Adams, Roge Antonio, Annapaola Martello, Margaux Motin, and Pacco Dorwling-Carter. And then there’s ZIGGY PIG - SILLY SEAL COMICS #1. When you find out Marvel published funny animal comics you’re like WHAAAAAAAAAT? It’s hard to believe. And these are some of the company’s oldest characters! 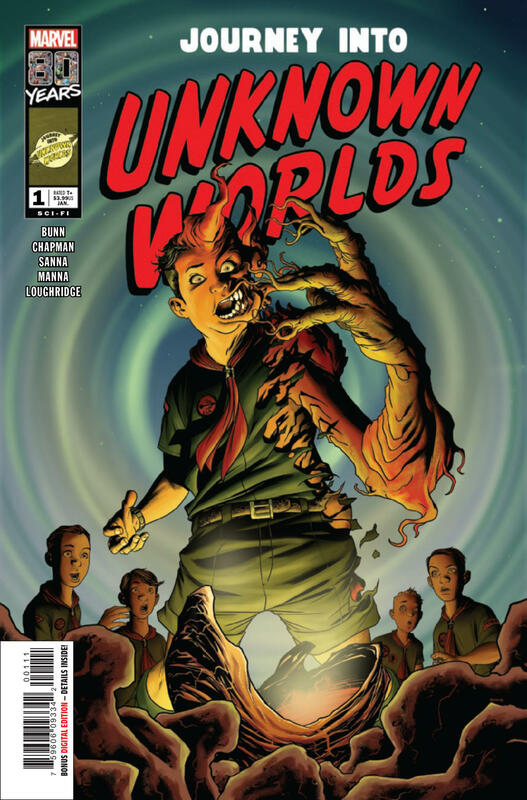 They’ve long been a favorite of mine due to their novelty and Marvel’s President Dan Buckley told me about an idea he, John Cerilli, and Frank Tieri had tossed around years ago. The premise was too good to pass up: a classic comedy duo loved by millions at one time, now gone their separate ways. One, immensely popular still and financially successful, the other practically invisible to the public, down on his luck and immensely miserable. Frank and John wrote up a new pitch and all we needed was Jacob Chabot on art and a great cover by Nic Klein and we have an instant classic. Marvel.com: Okay, guys – we know this might be a hard one to answer, but do you have a personal favorite from among all six of the one-shots, even one you didn’t work directly on? Nick Lowe: I’m biased toward WAR IS HELL, but I think CRYPT OF SHADOWS may win the whole thing. Mark Paniccia: It wouldn’t be fair to pick a favorite. Everyone put their hearts into these and we got a lot of great material for fans. I’ll let them be the judge. You can pre-order upcoming releases online or at your local comic shop!